Dana Fox and Chris Shinn from Waterloo, Ont. company Athena Software will showcase the Penelope case management software application for health and social service agencies on a four-city tour of Australia Oct. 21-29. The roadshow format provides Athena Software a terrific opportunity to meet with social service and health care organisations across Australia. Athena Software (http://www.athenasoftware.net) is headed to Australia this month to showcase their Penelope case management software application for health and social service agencies at two high-profile conferences and a four-city roadshow tour. The nine-day tour starts Oct. 21 and will give attendees from social service and not-for-profit organisations in Australia the chance to meet Chris Shinn, who recently moved from Athena’s head office in Waterloo, Ont. to open the company’s new office in Melbourne, where he is Manager of Business Development for Asia-Pacific. Joining Chris at all stops on the tour will be Dana Fox, Athena’s Director of Global Business Development. “The roadshow format provides Athena Software a terrific opportunity to meet with social service and health care organisations across Australia and discuss Penelope features like digital signatures, automated alerts and internal collaboration tools that have been designed to seamlessly support government programs like NDIS or DSS,” said Dana. Athena’s 2015 Australian roadshow tour will begin Wednesday, Oct. 21 in Melbourne at the 8th International Criminal Justice Conference, hosted by the Australian Community Support Organisation (ACSO) who have been using Penelope case management software since 2011. 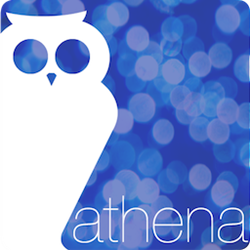 Athena are a gold sponsor of the conference, which will bring together leaders from around the world in an effort to showcase best practice solutions and present global trends and initiatives to help reduce crime, as well as analyze justice reinvestment and diversion initiatives. Speakers at the event include Kofi Barnes, founding president of the Canadian Association of Drug Treatment Court Professionals and former Texas senator Jerry Madden. While in Melbourne, Chris and Dana will also hold a roadshow stop to meet current and potential clients on Oct. 22 before jetting off to Sydney and then Perth for roadshow presentations on Oct. 23 and Oct. 26 respectively. From Perth, the pair will fly into Brisbane for the NDIS New World: Disability in the 21st Century Conference held by the National Disability Insurance Agency (NDIA), as well as holding an additional roadshow meeting in the city on Oct. 28. The NDIA oversees the National Disability Insurance Scheme (NDIS), a nationwide insurance program which supports people with a permanent and significant disability that affects their ability to take part in everyday activities. The universal program provides individuals with lifetime support and financing for the services they require. The roadshow tour and opening of an Athena Software office in Melbourne further demonstrates Athena’s commitment to the Australian market - in the past year, Athena has opened a data centre in Newcastle, New South Wales and recently hired Joanna Retnam (also based in Melbourne) as the company’s Head of Global Service Innovation. Athena has a secure, ongoing presence in Australia, where the company continues to expand its already extensive client base while providing a stable homegrown source of support and professional services for the more than 50 agencies currently using Penelope case management software across the country. For more information on the roadshow, visit http://www.athenasoftware.net/penelope-australia-roadshow-2015.html.